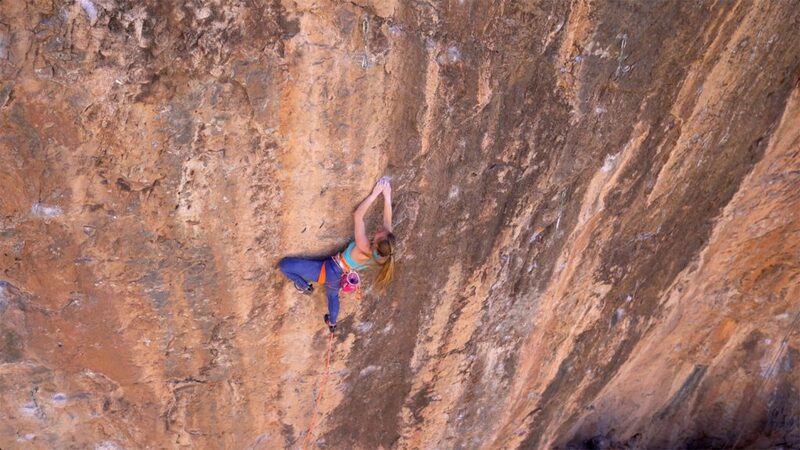 Kiersch reflects on the process of projecting one of the most famous sport climbs in America. 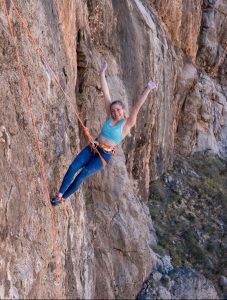 Kiersch crimping her up Necessary Evil (5.14c) in the Virgin River Gorge, Arizona. Photo: Ted Distel. I have been called a perfectionist on several occasions—twice on a recent drive home after yet another day of failing on Necessary Evil. That day I had reached a new high point, past the crux, only to find myself flying through the air after another hand slip. Fighting back tears on the ground, I looked at Emily Harrington and Paige Claassen and told them I was too upset to talk about the climb as they both offered words of encouragement. I was not yet ready to look on the bright side, and it was going to be another long drive back to Salt Lake City. I hold myself to extremely high standards, especially when I know that I can succeed, and that’s part of what made Necessary Evil such an emotional struggle. Necessary Evil was one of the first 5.14c’s in the United States. 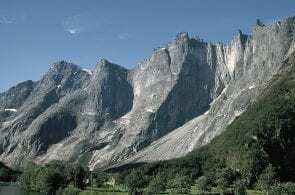 Boone Speed equipped the line, and Chris Sharma did the first ascent in 1997. Necessary Evil is a beautiful orange and black limestone face littered with small holds, powerful moves, and long reaches. The line proudly overlooks thousands of commuters trudging along I-15. In over 20 years, Necessary Evil has seen fewer than 20 repeats, and it’s a benchmark for the grade. It seemed both an ambitious and achievable goal. My process on the route started the same as any other climb and, to my surprise, the beta came easily. I was able to do all of the moves on my first try. Before long, I found myself falling at the upper crux four times a day for several days in a row. This sequence consists of a long move to a small gaston-crimp, and a big lock-off to a precision-dependent slot. I had the most trouble locking off high enough to stick the slot. Failing became part of my daily routine. I was frustrated and disappointed with myself because progress seemed to have stopped, and I couldn’t break out of the cycle. I let negative emotions invade my headspace and eventually I was so irritated with my inability to send that I didn’t want to try it anymore. I needed a break. After a week away, I returned to Necessary Evil for two days. I felt like I had taken a deep breath and eased up on myself a little bit. I was ready to try harder and break through the mental barrier. On the first day back, I reached a new highpoint but dry-fired off quickly after. Trying to remain positive, I was glad to have made slight progress again. The following day—the day that I despaired the whole drive home to Salt Lake City—I reached another new highpoint only to peel off, incredibly frustrated. Again, I was angry with myself and totally consumed with a feeling of failure. I felt like I was a disappointment for not being able to send sooner. A combination of internal and external pressures made me feel like I was in a hurry to send. In reality, though, there was no rush. Three more forced rest days away from the project helped me clear my head—there was no deadline; there was just me. I returned to Necessary Evil feeling refreshed. We woke up at the Virgin River Casino and Hotel around 5:00 am to beat the heat. My warm up felt the same as usual, but I noticed that I was in a better mood than my last trip to the Virgin River Gorge. My first go on Necessary Evil was average and I fell due to a foot pop in the upper crux.. On the second go, I was laughing and smiling; I was having fun. I stuck the crux move and there was no dry-firing off this time—only my nervous chatter to those on the ground that I was scared to mess up the next sequences, that I didn’t want to leave the comfort of the good rest holds. But eventually I did leave the rest, and soon I was clipping the chains and howling into the wind. 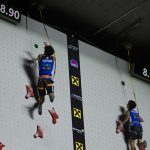 Sending Necessary Evil and achieving the first female ascent feels like a highlight in my career. 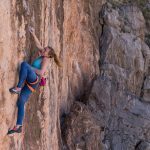 The day after I sent, Paige Claassen made the second female ascent. Sharing that experience with her and watching each other grow on the route was really special. Considering the historical significance of this route, the two of us sending in such close proximity—20 years after its first ascent—is monumental. Women around the world are empowering each other to rise up and achieve greatness. Our time on the side of I-15 battling one of the hardest routes in America and becoming the first females to clip the chains feels like an extension of that. Projecting teaches me something new every time. Necessary Evil taught me about the imperative of accepting myself and forgiving my own mistakes. Success will follow. 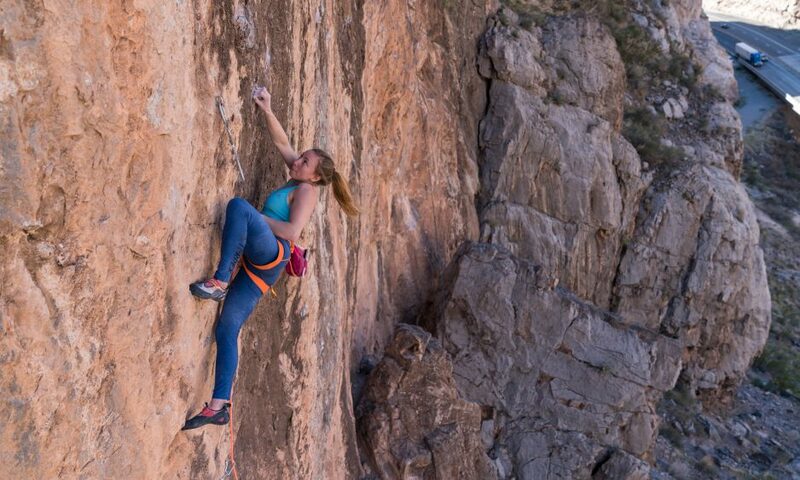 Michaela Kiersch has sent many hard lines around the United States, including many of the Red River Gorge’s testpieces, such as The Golden Ticket (5.14c), Southern Smoke (5.14c), 50 Words for Pump (5.14c), Twenty Four Karats (5.14c), Pure Imagination (5.14c) and Lucifer (5.14c). For more on Kiersch, check out her Instagram here.